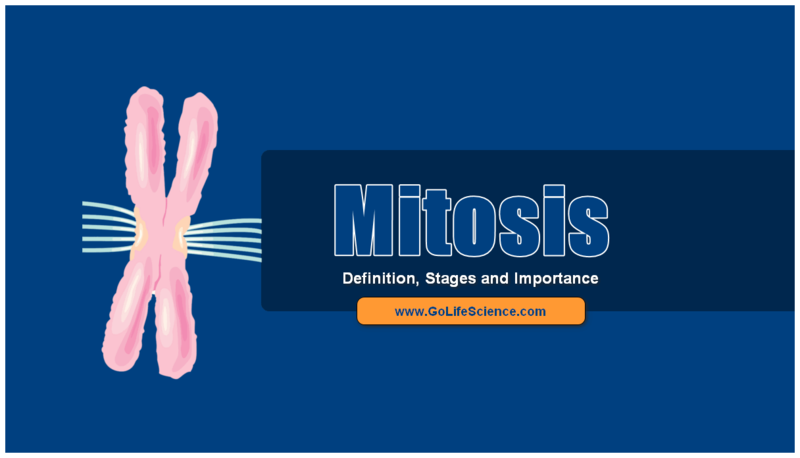 What is Mitosis, Stages and its Importance? Mitosis is the simplest type of cell division, which is responsible for the growth of tissues and individuals. the phenomenon of mitosis is of universal occurrence and is found in all living beings from the smallest bacterium to the largest animal. It shows a marked similarity in its minute’s details in all organisms. The term mitosis is given by German biologist Flemming (1882). Mitosis definition is the division of the mother cell into two daughter cells genetically identical to each other. It is a nuclear division (nuclear envelope breaks) plus cytokinesis and produces two identical daughter cells undergo during prophase, prometaphase, metaphase, anaphase, and telophase. 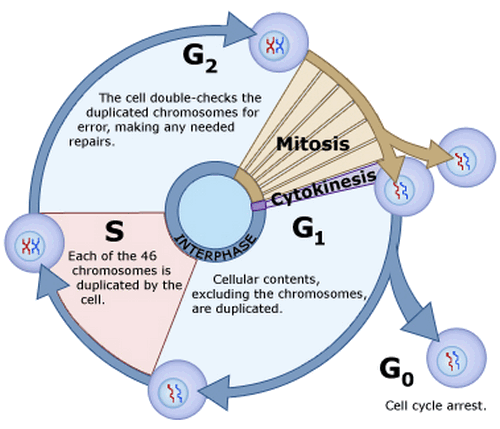 Interphase is often included in discussions of mitosis, but interphase is technically not part of the mitotic process, but rather encompasses stages G1, S, and G2 of the cell cycle. The cell is engaged in the metabolic activity and performing its prepare for mitosis (the next four phases that lead up to and include nuclear division). 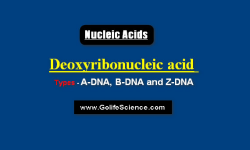 Chromosomes are not clearly discerned in the nucleus, although a dark spot called the nucleolus may be visible. The cell may contain a pair of centrioles (or microtubule organizing centers in plants) both of which are organizational sites for microtubules. 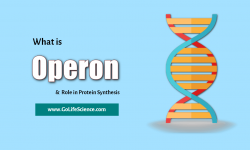 The nucleus and cytoplasm are metabolically active. 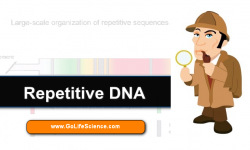 synthesis of different types o RNA occurs. 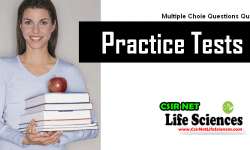 In Mitosis Prophase, Chromatin in the nucleus begins to condense and becomes visible in the light microscope as chromosomes. Centrioles begin moving to opposite ends of the cell and fibers extend from the centromeres. Some fibers cross the cell to form the mitotic spindle. The astral rays appear radiating outward from each centriole and spindle develops between the two centrioles. The nuclear membrane dissolves, marking the beginning of prometaphase. Proteins attach to the centromeres creating the kinetochores. Microtubules attach at the kinetochores and the chromosomes begin moving. Spindle fibers align the chromosomes along the middle of the cell nucleus. This line is referred to as the metaphase plate. This organization helps to ensure that in the next phase, when the chromosomes are separated, each new nucleus will receive one copy of each chromosome. The two chromatids (sister chromatids) lie parallel to each other attached through centromere. The paired chromosomes (sets of chromosomes) separate at the kinetochores and move to opposite sides of the cell. Motion results from a combination of kinetochore movement along the spindle microtubules and through the physical interaction of polar microtubules. The centromere has divided into two, thereby separating the two chromatids which are known as daughter chromosomes. The spindle fibres move towards their respective pole covering a distance of 5-25 micron and as such drag the chromatids (daughter chromosomes) with them. The number of daughter chromosomes is the same as in parent cell towards each ole. This stage is characterized by the elongation of chromatids, which have uncoiled themselves. Chromatids arrive at opposite spindle poles of the cell, and new membranes form around the daughter nuclei. The chromosomes disperse and are no longer visible under the light microscope. The spindle fibers disperse, and cytokinesis or the partitioning of the cell may also begin during this stage. In animal cells, cytokinesis results when a fiber ring composed of a protein structure called actin around the center of the cell contracts pinching the cell into 2 daughter cells, each with one nucleus. In plant cells, the rigid cell wall requires that a cell plate is synthesized between the two daughter cells. The cytoplasm starts moving away from the equator as a result of which inpushings develop in the cell membrane, which ultimately results in the following of membrane and division of the cytoplasm. As a result, one parent cell divides into two daughter cells with identical and equal cytoplasmic contents and an equal number of chromosomes. Mitosis is important because some organisms do not sexually reproduce. Bacteria is a great example of this. Without mitosis, we would not have many of these types of organisms. Another importance is Growth. The number of cells within an organism increases by this process and this is the basis of growth in multicellular organisms. Cell Replacement. Cells are constantly sloughed off, dying and being replaced by new ones in the skin and digestive tract. When damaged tissues are repaired, the new cells must be exact copies of the cells being replaced so as to retain the normal function of cells. Regeneration. Some animals can regenerate parts of the body, and the production of new cells is achieved by the mitotic process. Vegetative Reproduction. 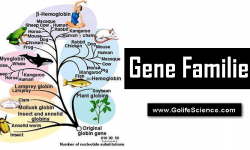 Some plants produce offspring which are genetically similar to themselves. These offspring are called clones.